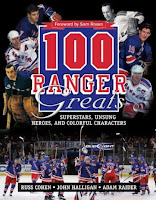 Want to win a copy of the new book 100 Ranger Greats? With a couple of player autographs included? Take the poll and join the contest.